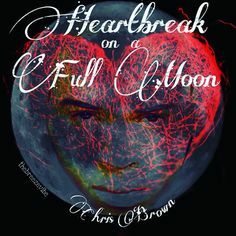 Chris Brown has released his new album ‘Heartbreak On A Full Moon’ today. The singer who real name is Christopher Maurice Brown had been working on this project for a while. After months of speculation and setbacks, the album was released today and it has shocked most fans. Why the shock? well, the album has 45, yes 45 tracks on it. It’s a double album. The album which is the follow up to 2015’s Royalty features guest appearances from a lot of popular artistes. Future, Young Thug, Lil Yachty, Usher, Gucci Mane, Kodak Black, R.Kelly, Ty Dolla $ign, Verse Simmonds, Dej Loaf, Jhene Aiko and more are guests on the album project. Meanwhile, production is handled by the likes of A1, Deko, Prince Chrishan, Richie Souf, Yung Berg, Tariq Beats, and more. “For me, I think about everything that I went through. Whether it be certain substance songs that I feel a lack in our genre of music. Even real songs.” Chris Brown said.